Posted on 19, April 2016 by EuropaWire PR Editors | This entry was posted in Awards, Construction, United Kingdom and tagged 2016 ICE London Civil Engineering Awards, GRAHAM, Tennison Road Replacement Bridge. Bookmark the permalink. Cast your vote now for the ICE London Evening Standard People’s Choice Award. BELFAST, 19-Apr-2016 — /EuropaWire/ — Tennison Road Replacement Bridge is one of thirteen shortlisted projects for the 2016 ICE (Institution of Civil Engineers) London Civil Engineering Awards. These Awards celebrate projects across the city that have raised the bar for innovation, health and safety, community benefit, construction or design. They showcase how new infrastructure can improve the lives of millions of the Capital’s residents and demonstrates the fantastic and exciting schemes that London-based engineering companies are delivering every day. 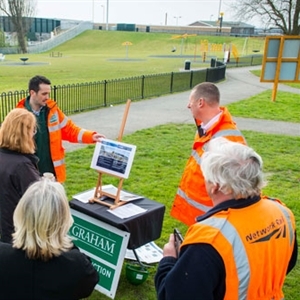 The GRAHAM Tennison Road team recently welcomed a site visit by 6 ICE judges, the ICE London and South East England Regional Director and Events Executive, a photographer and film crew, as part of the final stages of the judging process. During the visit, the panel were provided with a project overview from Rory McFadden and Gary Burt (GRAHAM Construction), Rob Griffiths (Ramboll) and Paul Adams (Network Rail) before touring the bridge and children’s play park. The awards ceremony takes place on 26 May 2016 in London. Winners will demonstrate excellence in design and construction, drawing attention to project management, financial control and health and safety. We want your vote for Tennison Road in the ICE London Evening Standard People’s Choice Award. Cast your vote online and you could win five pairs of tickets to the ICE London Civil Engineering Awards, as well as five pairs of VIP tickets to an Engineering Heritage Boat Tour of the River Thames in September where you’ll hear from two leading civil engineers about the fascinating history of the Thames. Please scroll to the bottom of the ICE webpage to view the voting buttons. 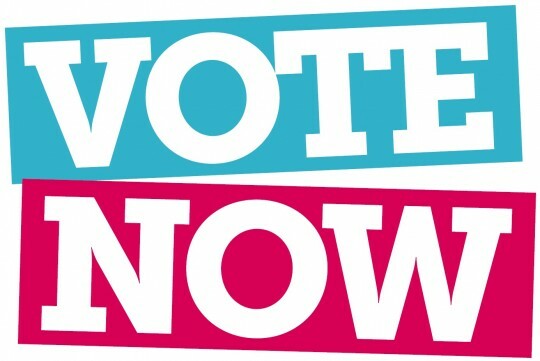 Voting is open until Monday 2nd May 2016.